THE tourism industry is gearing up for the best year since the start of the recession as the latest CSO figures reveal a 10pc increase in visitors during the first half of the year over the same period in 2013. Especially encouraging are visitor numbers from the UK which grew by 13.6pc between January and June. There was also a 10.6pc increase in the number of visits by North Americans, a 6pc jump in the number of people visiting here from mainland Europe and a 13.6pc increase in visitors from elsewhere. More than 1.4 million UK nationals visited here during the first six months of the year, a rise of 176,100 over the same period in 2013. The figures show there were 1.2 million visitors from Europe and 574,500 visitors from North America as well as 203,300 visitors from around the world. Failte Ireland chief executive Shaun Quinn said the latest figures are very encouraging and "tourism businesses around the country are upbeat and we seem set for out best tourism season since the downturn began" in 2008. The growth in tourist numbers from the UK – which remains Ireland's biggest tourism market – is also very encouraging, he added. The combined impact of a stronger UK economy and targeting of niche markets as part of the tourist board's "GB Path to Growth" strategy appears to be paying off, according to Failte Ireland. 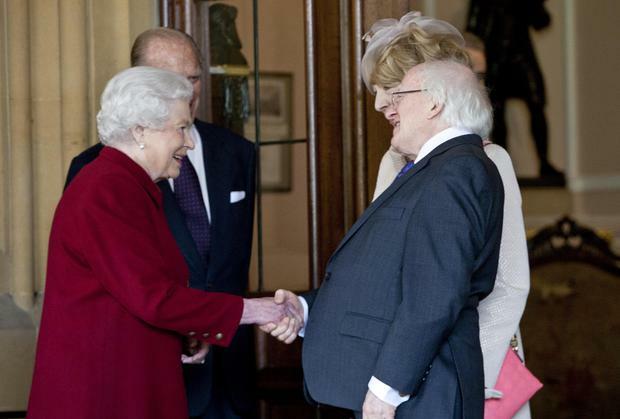 The historic first state visit by President Michael D Higgins to London in April also helped generate positive publicity. Tim Fenn, CEO of the Irish Hotels Federation, said this summer has been the best after years of being in the doldrums. "There's a very positive sentiment out there," he told the Irish Independent. Hotels and guesthouses that cater to mostly overseas visitors in tourist hotspots like Kilkenny, Killarney, Galway and Westport are also doing exceptionally well this summer, with Cork and Limerick cities also reporting "a lift", he said. However, the one area that could use some improvement is in the domestic market. "The domestic economy isn't doing as well. People are still travelling but they are still much more careful with their spending." Meanwhile, Tourism Minister Paschal Donohoe said his department will be setting "ambitious new targets for the tourism sector in the period to 2025" later this year to keep the momentum going.